Offer a first tandem skydiving jump to your loved ones and let them enjoy an experience of a lifetime! Your first tandem jump will surely be the experience of your life! Parachute GO Skydive, only 15 minutes from Ottawa, wants to share this experience with you. Come and discover the fabulous view of the National Capital Region from up high in the sky! After your tandem jump, you are now eligible for the Skydiving training courses. 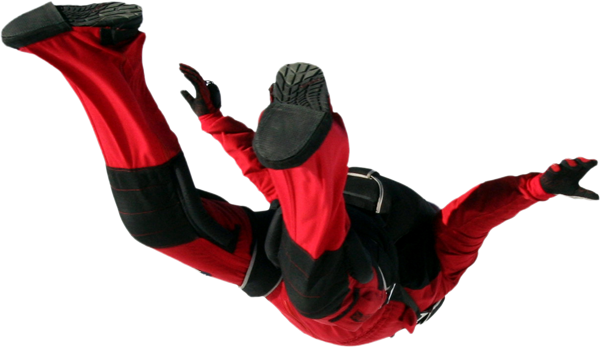 Parachute GO Skydive offers all skills development courses from beginner level to become an instructor. Will you be our next tandem instructor? Parachute GO Skydive uses parachutes from the United Parachute Technologies company which is the no.1 parachute manufacturer in the world. In addition, Parachute GO Skydive operates Canadian-registered turbine-powered aircraft, the most recent in the market, providing a level of superior quality control. Make the jump with the GO Skydive team! Come meet our passionate team members and discover an amazing sport! A great experience to live with your friends and family! My son and daughter and I experienced the tandem jump on June 8th. The whole experience was amazing. I don’t think the team there realize what a unique and special job they have. We put our trust in them and their enthusiasm and expertise are truly remarkable. People have said this would be life changing and it certainly has been. I have been wanting to do this since I was 19 and to have accomplished it , is really outstanding. Thank you to our tandem jump buddies! I was terrified of going skydiving, being afraid of heights and all, but the staff helped me through my fear. When I first got on the plane and it started to take off, my nerves began to kick, and if it wasn't for everyone making me laugh I do not think I would have jumped ! Anyone who has this activity on their bucket list, I recommend going Skydiving with these people ! you will not regret it. Four of us went together, all first timers. The staff were very professional, relaxed and created a fun environment. They clearly enjoy sharing their sport! The safety briefing and instructions were clear and concise, the equipment was professional and we all felt very confident in our decision. It was a truly amazing experience! I had been wanting to do this for more than 30 years and I was not disappointed. We included the photo and video package which was well worth the extra expense! An awesome keepsake and the shots were great! I'm absolutely looking forward to going again and would chose the same location! If anyone is thinking about skydiving this is the place for a great experience! My friends and I decided to check sky diving off of our bucket list. We had amazing staff to help us get through our fears. Simon is a funny character and a great camera man. Vic was very reassuring on our way up in the plane. The way the instructors interacted with us made us feel very comfortable which made the experience that much better. I'd definitely sky dive again with them! This place is wicked. Went with my bro for his birthday. Everyone has to do this at least once in there life.